How I’m Making an Epic Sci-Fi Movie That Will Change the World. And Why You Should Follow Your Dream Too! 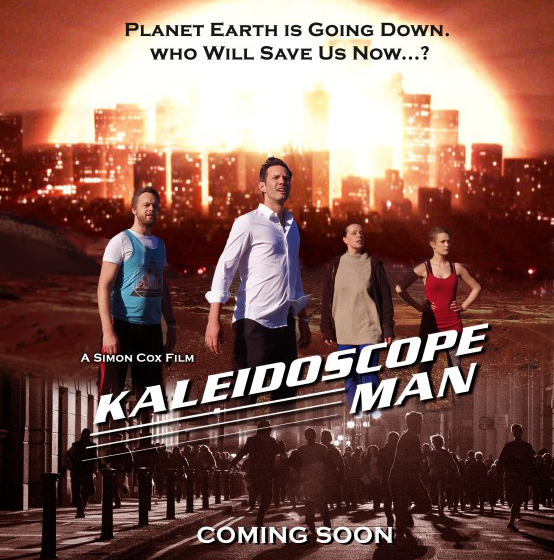 In 2006, UK filmmaker Simon Cox announced to a group of friends that his new movie, Kaleidoscope Man, would be the biggest British indie sci-fi movie of all time – A sweeping statement? Or was it? After years of trying to get his second movie funded through traditional film industry routes, it was at this moment that Simon made the decision to stop chasing carrots and do whatever needed to be done to achieve his dream; making an epic sci-fi movie that would move and inspire people in the same way the original Star Wars inspired him. But, he was in his 40′s with a young family, broke, feeling washed up and beginning to realise that perhaps Hollywood wasn’t about to come knocking. Now in 2016, Simon has nearly finished the hugely ambitious Kaleidoscope Man. And its good. In fact, it’s very good. But the road to getting it made has certainly been rocky and full of challenges and the finance to do it has not fallen into his lap. Come to our fascinating one day seminar and discover from Simon himself just how he and a team of friends have managed to pull off this incredible feat. • How they convinced 700+ people to run from attacking alien ships in Central Birmingham. • Built the international space station in a warehouse in Nuneaton (with materials from Wikes DIY store). • How they convinced 80′s pop icon Toyah Willcox to star in the movie. • Sent fleets of attacking alien ships flying over Central London. • Turned Birmingham into a deserted battlefield. • Got primetime TV coverage on BBC London Tonight. • Discovered a young illustrator who went from creating images for Kaleidoscope Man to Godzilla, Star Wars the Force Awakes and now Star Wars Rouge One. • Pulled together over 500+ people to help get the movie made. You’ll hear amusing anecdotes, see fascinating behind the scenes videos and some exclusive clips from the movie – before anyone else sees them. • Continue reading at Event Tribe. 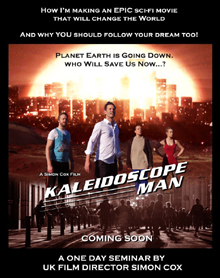 Chek out the Kaleidoscope Man website for updates and recent behind-the-scenes photos from the film shoots. Taste Of Cinema: The 25 Most Overlooked Movies of 2015 Toyah Newsy Bits & Pieces!